We made a day trip up to Evansburg State Park to celebrate a birthday with family and friends. 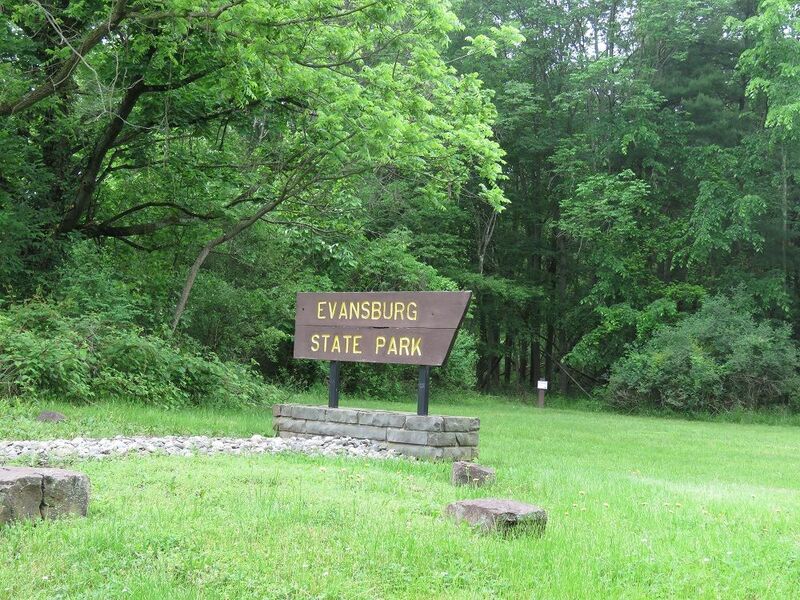 Evansburg State Park is located in southcentral Montgomery County near Collegeville and Skippack. 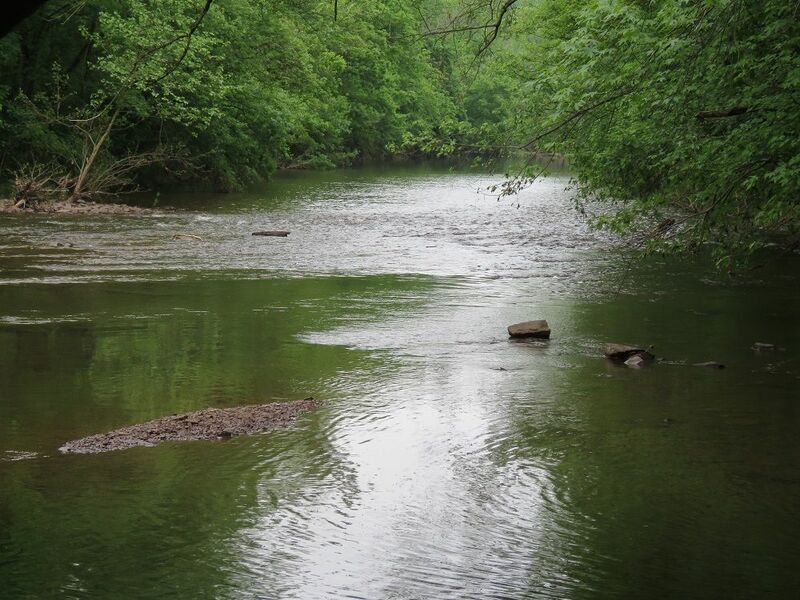 This 3,349 acre PA park tracks Skippack Creek as it meanders toward Perkiomen Creek. 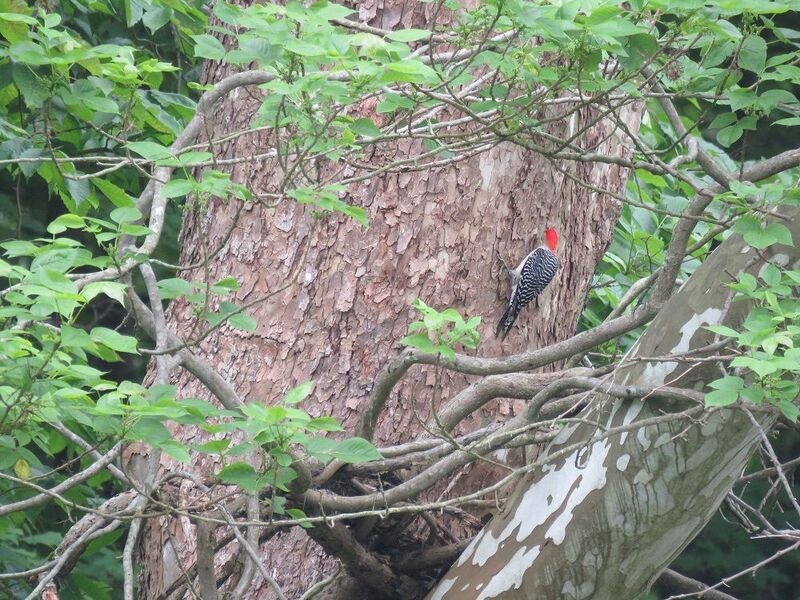 It wasn’t meandering when we were there, however, because it was smack dab at the end of this year’s unusual May rains. But it turned out to be a beautiful, sunny day in the park. 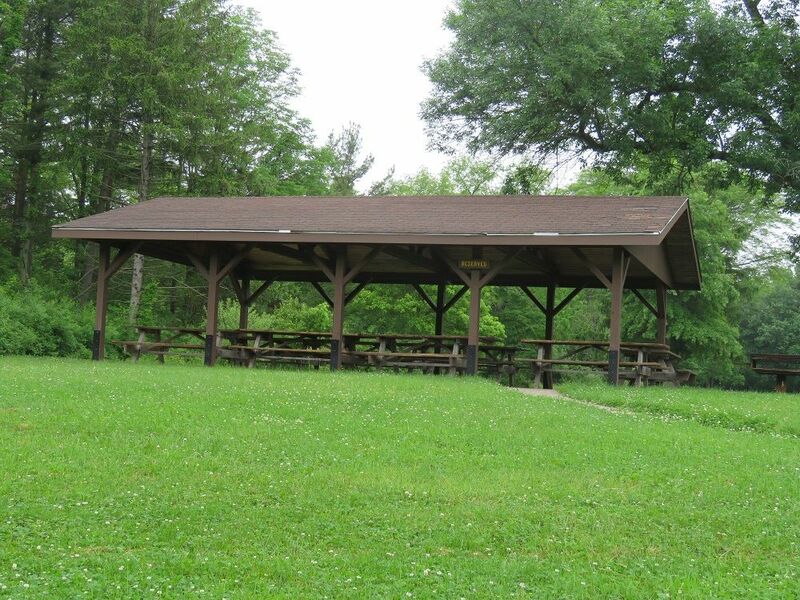 We rented a covered pavilion for our family and friends to join us at the park for a BBQ. They have one that is for 60 people and one that is for 200. Reservations are accepted through Reserve America and there is a fee associated with it. If no one has reserved the pavilion, then they are open for usage by others. When we arrived at the park, we started with a quick driving tour of the area. It turns out that it is hard to get down to the river from the pavilion area, particularly with mud on the trails from all of the rains. There is an interpretive center with small garden. 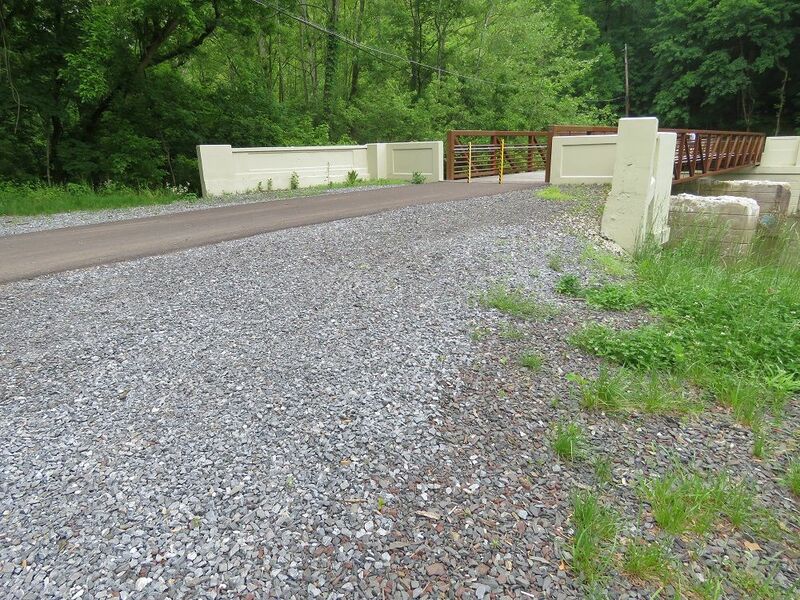 When we finished touring the area, we drove down to the southern end of the park where the fishing pier is located. Shortly before we got there, we saw a small pedestrian bridge that crosses the river. We tried our luck fishing for a few hours but we didn’t catch anything. 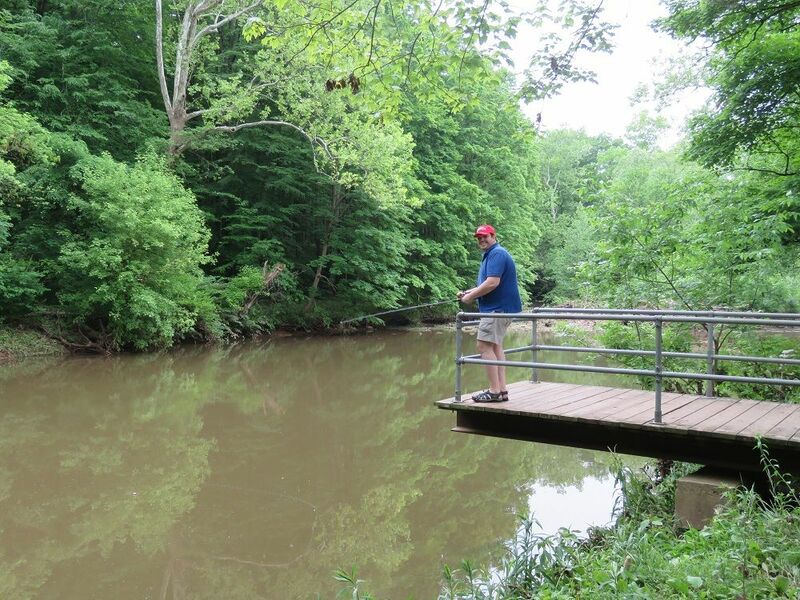 Skippack Creek is stocked with trout but the river was pretty high and brown from all of the recent rains. We saw a few other people fishing there, so there definitely must be some fish. 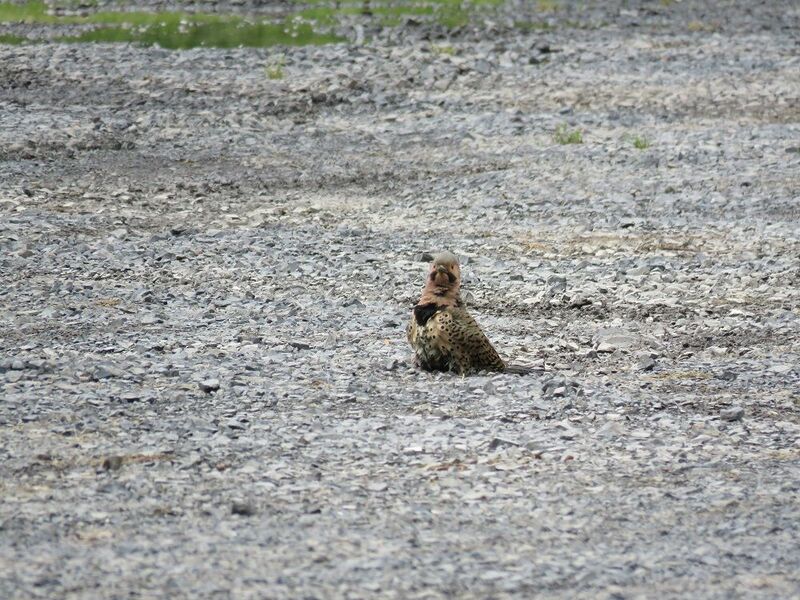 But we ended up having much better luck birding, enjoying watching this northern flicker dust in the parking lot and then climb on a nearby tree across the river. When we called it quits on fishing, we headed to the pavilion, where our friends and family were already gathering. There was plenty of grass to spread out, a play area with jungle gym for the kids, and a huge grill which was capable of cooking up a true feast with enough charcoal. After lunch on our way out of the park, we stopped for a few minutes at Keyser’s Mill to walk around the property and down to the stone arch bridge. Keyser’s Mill is a 2.5 story stone and stucco mill built in the 1800s and restored in 1985-86. 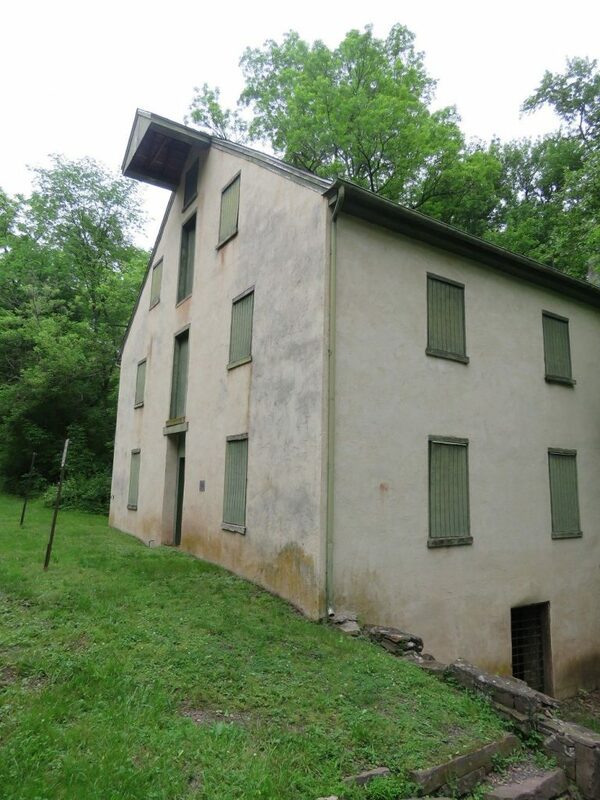 It was built as a grist and plaster mill but the machinery and wheels have been removed. The old miller’s house is just down the street. 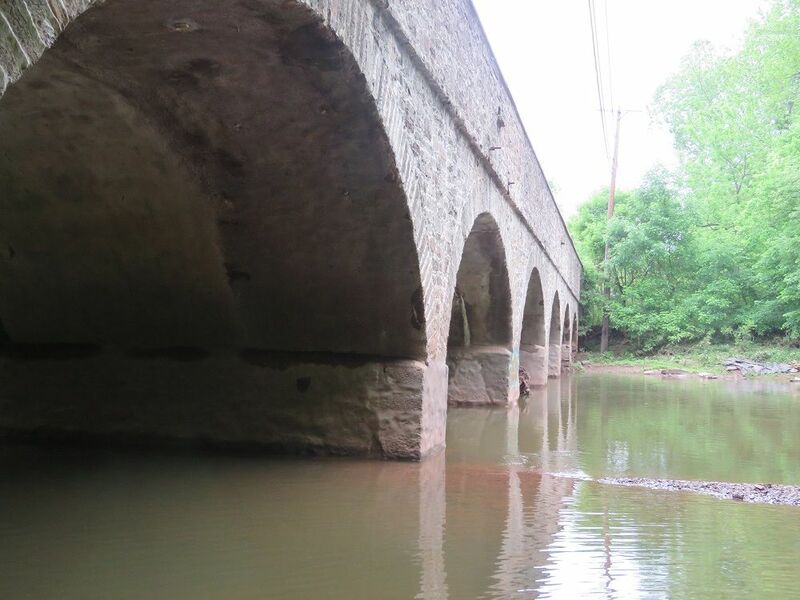 We walked down to the Skippack Bridge from here, a historic stone arch bridge built in 1792 with eight spans covering 202 feet. 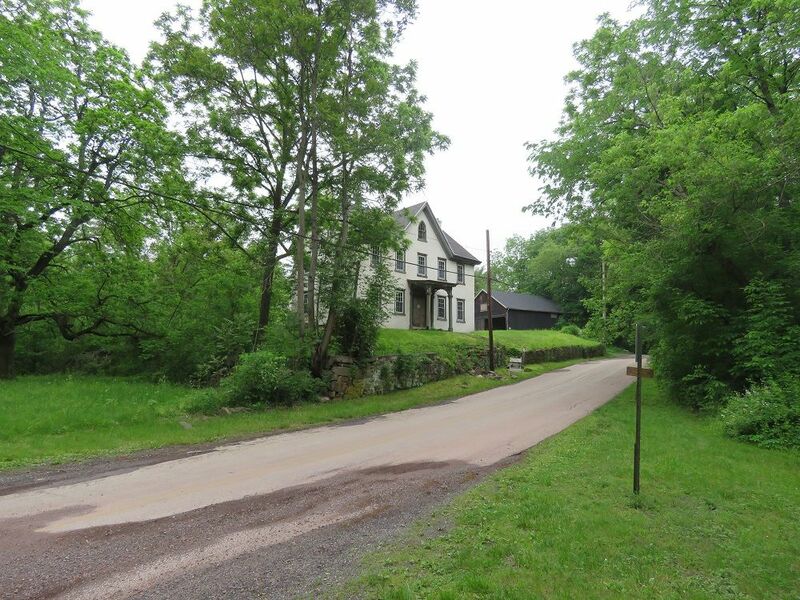 It carries traffic on Germantown Pike across Skippack Creek and has been listed on the National Register of Historic Places since 1970. Even though the water was pretty muddy upstream, it was beautiful here. It was getting a little late in the afternoon and we were stuffed from all of the hamburgers, hot dogs and other food (plus CAKE), so we headed home. We can’t wait to tell you about our next adventure!